Searching on the internet for an easy way on how to bake an orange cake I found this recipe but I simplified it to make it more easier . 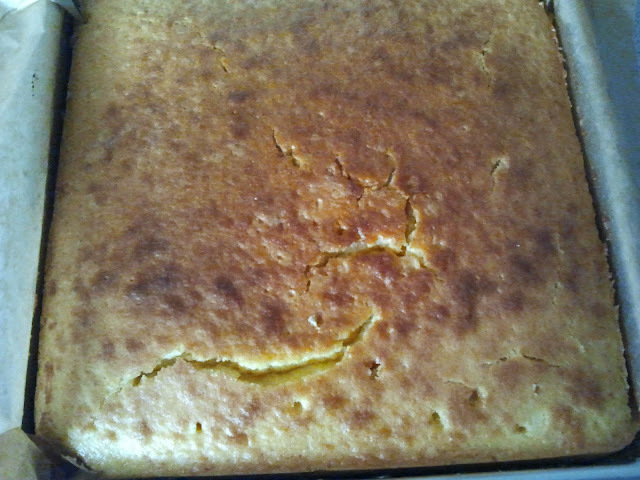 I'm no baker but sometimes like to eat home baked cakes when stuffs in the recipe is already at hand. 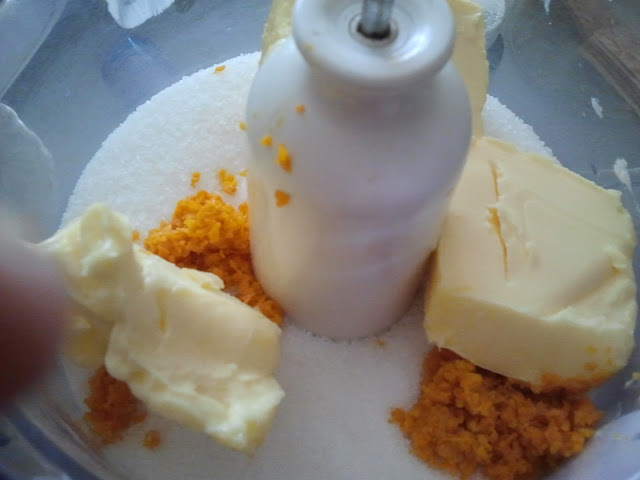 I just dumped the stuff in the food processor like I always see Nigella on her food show doing that...so easy and practical. 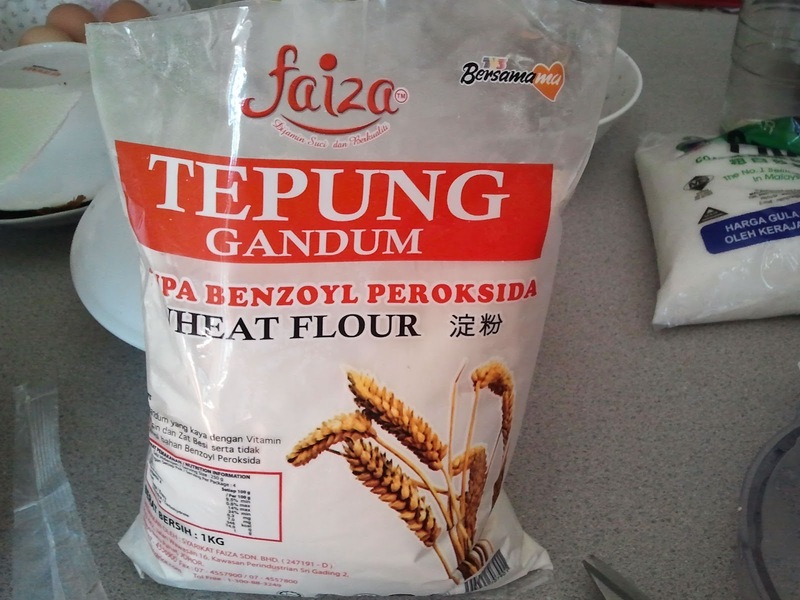 'tanpa Benzoyl Peroksida' and the colour of the flour too is not pure white macam bedak Johnson. Of course I add in a bit of baking powder nanti tak naik pulak kek tu. 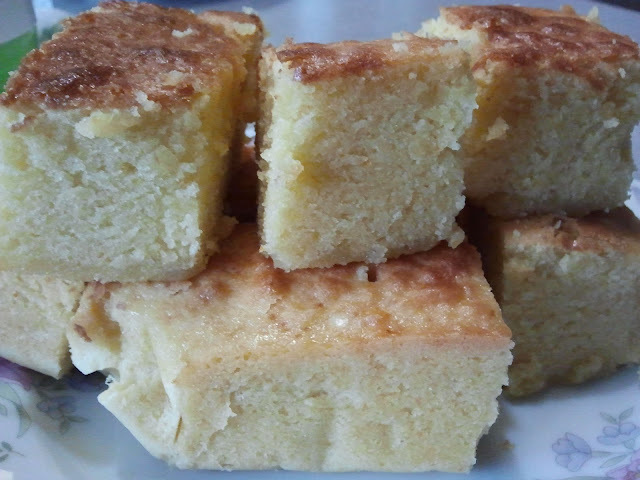 Baked at 160 deg celcius for one hour said the recipe but my oven is the cheap type so got to add another 20 mins..
kalau rajin , semua bendo jadi.